Home / Heart / The Cardiologist said I have a heart!!! New day, new doctor. 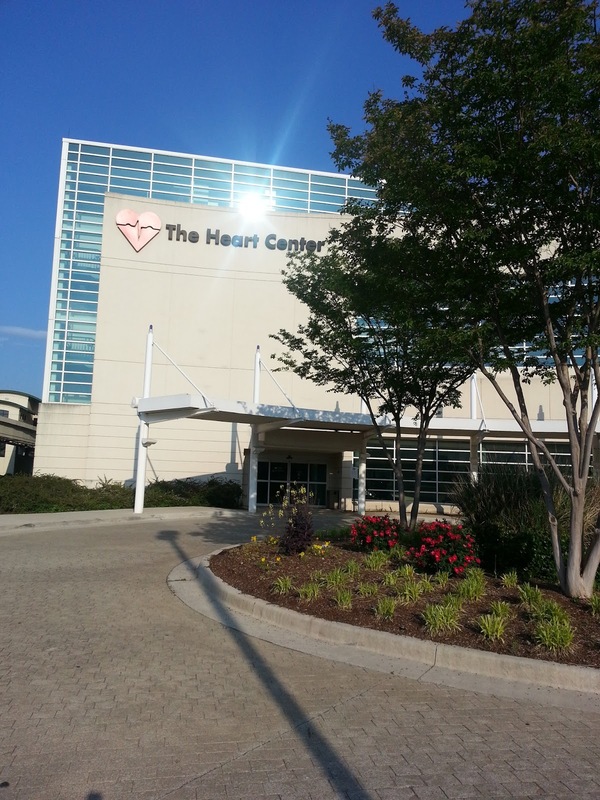 I went to a new part of the hospital to meet with the Cardiologist. The waiting room was packed. I mean crazy packed. I have been to multiple doctor's offices throughout my life, but I had never seen that many people in one place. I checked in and sat down until the registration nurse called me. They began the typical routine: insurance, drivers license, birth date... a standard part of my care now. Before I could even pay my co-pay, the doctor's nurse had called my name. I was a bit surprised because of the crowd in the front, but found out that there were many Cardiologist located in the building, as well as some of the people where only there for quick fix pace-maker tune-ups. 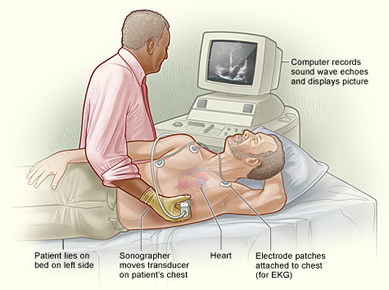 After a repeat explanation of my symptoms, the nurse ran a quick EKG and told me the doctor would be in shortly. I laid back on the chair... and fell asleep. Apparently, doctor's offices make me tired. Or if I get the opportunity to sit quietly I can't keep my eyes open. The Cardiologist was cool. He had the best bedside manner yet. He shared his sister's breast cancer experience with me and was very supportive. While he did not see anything to be alarmed about, he knew that my heart needed to be tested and checked because a baseline would be needed before I start treatment. Since my oncology appointment was the next day, they scheduled both the Nuclear Stress Test and the Echocardiogram for the next morning. Wow, doctors move fast when Cancers involved! 4/8/2013 - Beam me up, Technician! I arrived earlier than my scheduled time, which turned out to be a good thing. They got me back and started first thing. I love morning appointments, especially when you can't eat before them! I was immediately asked my name and date of birth (dob) and verified that I was actually me. 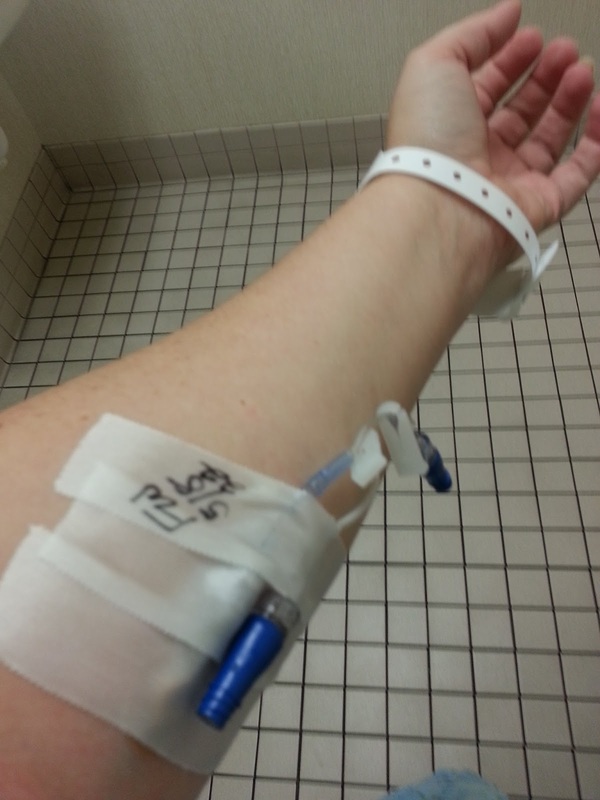 Then the first stop after changing into a hospital gown was to get another IV started. I had to give my name and dob again. The lady found a vein, but it was toward the inside of my arm which I had not used before. After I got that over with, yuck, I went into the room for the treadmill test. Look! Another IV for me. I verified again my name and dob, with the same guy nurse that walked me to the IV lady. And since I had again proved I was me, he began placing heart monitoring tabs on my chest. He took a baseline EKG and briefly spoke about what I was about to do. I have had five knee surgeries, so I hoped to do the bike version of the stress test which was mentioned online. However, they did not offer that so I had two options: 1. Walk the treadmill or 2. 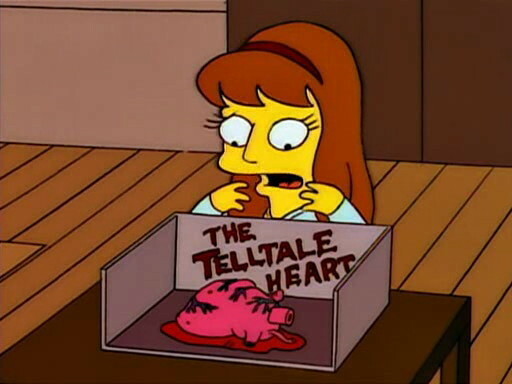 Take the chemical to stimulate your heart. I decided to walk as I had to only make 6 minutes on varying slopes and get my heart rate over 150. I could do that... right? The treadmill walking was not a problem, but the slope made me very nervous. I was worried that I would fall of the back of the treadmill or that my knees would dislocate (the issue I have). Neither happened. Of course I kicked the front of the treadmill multiple times in my attempt to not roll down the back of the machine.The entire time I walked I could watch my EKG and look out the window at the traffic zooming by. About one minute before I got to stop, the nurse put the tracer into my IV. I felt a bit off after the tracer got into my system. For me, the area around my IV began to hurt slightly. The nurse took me to a new waiting area with a pack of peanut butter crackers and some water, where he told me to rest and eat. I sat there for a little over an hour. A new nurse called my name, and shocker... I gave my name and dob. I am still me ;) Then I was taken to a new exam room with more cool equipment I had never seen. 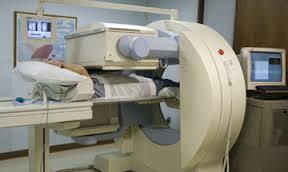 The scanner was similar to the PET scan, but different. Another nurse asked me my name and dob before taking me to the machine. I climbed up on the slab and got into a flat position. However, that scan required my arm to be elevate above my head. The nurse said that I had to remain completely still and not breath deeply or the entire scan would have to be redone. Check... try not to breathe! Example of the Nuclear Stress Test scan. FYI: That was not me. Even though my IV really began to hurt, I remained still. The scan lasted about 20-25 minutes. Then I was taken back to waiting room to wait. My name was called by someone else new, so I did the routine name and dob verification. She just wanted to let me know that my scan images were readable and that I would not need to do another scan, but the Nuclear Cardiologist might not be able to read them until after my oncology appointment later. Argh! Then I had to go sit back down again. After some more time waiting, I heard my name again and saw a new nurse awaiting me. I immediate gave my name and dob before she could ask. She laughed and said that would be the last time I would say it there. We went into another room where the ultrasound machine was ready to go. I laid down on my left side and she began searching for my heart... I had one! She began to push the ultrasound wand in different directions: directly at my heart, below my left breast upwards, under my rib cage upwards, and eventual down my neck. Each one giving her a different view. She let me know it looked pretty good, which was news I wanted to hear. The test was similar to this, but we were both chicks. I finally got my IV out and to put my bra and shirt back on to leave. Nothing like the feeling of getting back into your own clothes! While the whole experience was not overly bad, it was good to be finished. Instead of the 4-5 hours of time needed, I was done in about 3 hours. Enough time to go home and eat before the next doctor's appointment. 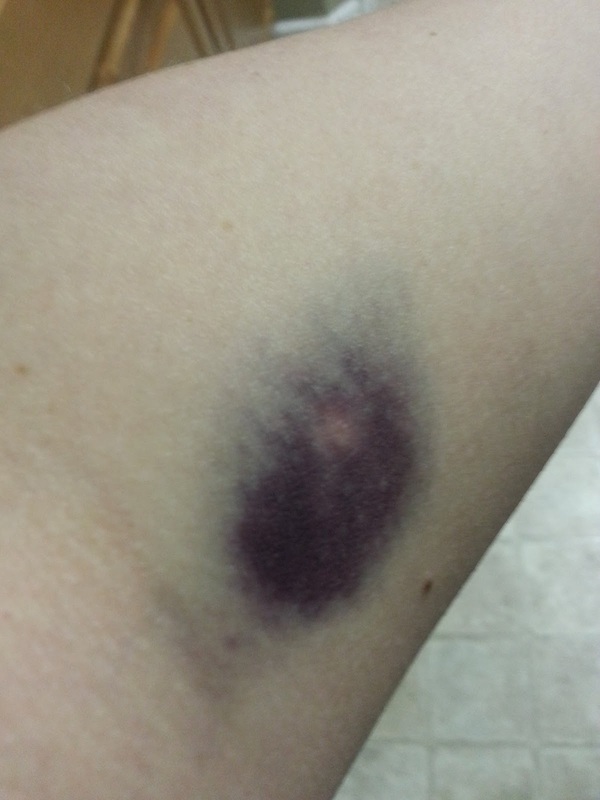 The IV really bruised my arm... and yes, it hurts! The day was shorter than what I had been told, which was a good thing since I still had my Oncology appointment that day. However, they really tore up my arm with the IV. Don't see that bruise going away any time soon. I think the Echo nurse felt bad for me: learning of my recent bilateral hearing loss and cancer diagnosis. She gave me a lot of insight into the ultrasound and really showed me what she saw. It was nice to get some decent news. See honey, I have a heart... however, they didn't say if it was black or not?!? !